Jet Black 2019 Mazda Mazda3 FWD Automatic 2.5L 4-Cylinder 26/35 City/Highway MPG While every effort has been made to ensure display of accurate data, the vehicle listings within this web site may not reflect all accurate vehicle items. Accessories and color may vary. All Inventory listed is subject to prior sale. The vehicle photo displayed may be an example only. Vehicle Photos may not match exact vehicle. Please confirm vehicle price with Dealership. See Dealership for details. Crystal Blue 2019 Mazda Mazda3 FWD Automatic 2.5L 4-Cylinder 26/35 City/Highway MPG While every effort has been made to ensure display of accurate data, the vehicle listings within this web site may not reflect all accurate vehicle items. Accessories and color may vary. All Inventory listed is subject to prior sale. The vehicle photo displayed may be an example only. Vehicle Photos may not match exact vehicle. Please confirm vehicle price with Dealership. See Dealership for details. Jet Black 2019 Mazda Mazda3 FWD Automatic 2.5L 4-Cylinder Recent Arrival! 26/35 City/Highway MPG While every effort has been made to ensure display of accurate data, the vehicle listings within this web site may not reflect all accurate vehicle items. Accessories and color may vary. All Inventory listed is subject to prior sale. The vehicle photo displayed may be an example only. Vehicle Photos may not match exact vehicle. Please confirm vehicle price with Dealership. See Dealership for details. Red 2019 Mazda Mazda3 FWD 6-Speed Automatic I4 Recent Arrival! 26/35 City/Highway MPG While every effort has been made to ensure display of accurate data, the vehicle listings within this web site may not reflect all accurate vehicle items. Accessories and color may vary. All Inventory listed is subject to prior sale. The vehicle photo displayed may be an example only. Vehicle Photos may not match exact vehicle. Please confirm vehicle price with Dealership. See Dealership for details. 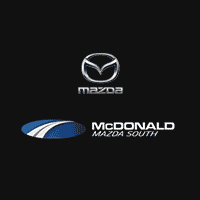 Jet Black 2019 Mazda Mazda3 AWD Automatic 2.5L 4-Cylinder 24/32 City/Highway MPG While every effort has been made to ensure display of accurate data, the vehicle listings within this web site may not reflect all accurate vehicle items. Accessories and color may vary. All Inventory listed is subject to prior sale. The vehicle photo displayed may be an example only. Vehicle Photos may not match exact vehicle. Please confirm vehicle price with Dealership. See Dealership for details. Crystal Blue 2019 Mazda Mazda3 AWD Automatic 2.5L 4-Cylinder 24/32 City/Highway MPG While every effort has been made to ensure display of accurate data, the vehicle listings within this web site may not reflect all accurate vehicle items. Accessories and color may vary. All Inventory listed is subject to prior sale. The vehicle photo displayed may be an example only. Vehicle Photos may not match exact vehicle. Please confirm vehicle price with Dealership. See Dealership for details. Snowflake White Pearl 2019 Mazda Mazda3 AWD Automatic 2.5L 4-Cylinder 24/32 City/Highway MPG While every effort has been made to ensure display of accurate data, the vehicle listings within this web site may not reflect all accurate vehicle items. Accessories and color may vary. All Inventory listed is subject to prior sale. The vehicle photo displayed may be an example only. Vehicle Photos may not match exact vehicle. Please confirm vehicle price with Dealership. See Dealership for details. White 2019 Mazda Mazda3 w/Preferred Package FWD 6-Speed Automatic I4 Recent Arrival! 26/35 City/Highway MPG While every effort has been made to ensure display of accurate data, the vehicle listings within this web site may not reflect all accurate vehicle items. Accessories and color may vary. All Inventory listed is subject to prior sale. The vehicle photo displayed may be an example only. Vehicle Photos may not match exact vehicle. Please confirm vehicle price with Dealership. See Dealership for details. soul red crystal metallic 2019 Mazda Mazda3 AWD Automatic 2.5L 4-Cylinder 24/32 City/Highway MPG While every effort has been made to ensure display of accurate data, the vehicle listings within this web site may not reflect all accurate vehicle items. Accessories and color may vary. All Inventory listed is subject to prior sale. The vehicle photo displayed may be an example only. Vehicle Photos may not match exact vehicle. Please confirm vehicle price with Dealership. See Dealership for details. Red Crystal 2019 Mazda Mazda3 Preferred w/Preferred Package FWD Automatic 2.5L 4-Cylinder ABS brakes, Active Cruise Control, Alloy wheels, Electronic Stability Control, Front dual zone A/C, Heated Front Bucket Seats, Heated front seats, Illuminated entry, Low tire pressure warning, Remote keyless entry, Traction control. 26/35 City/Highway MPG While every effort has been made to ensure display of accurate data, the vehicle listings within this web site may not reflect all accurate vehicle items. Accessories and color may vary. All Inventory listed is subject to prior sale. The vehicle photo displayed may be an example only. Vehicle Photos may not match exact vehicle. Please confirm vehicle price with Dealership. See Dealership for details. Crystal Blue 2019 Mazda Mazda3 w/Preferred Package AWD Automatic 2.5L 4-Cylinder 24/32 City/Highway MPG While every effort has been made to ensure display of accurate data, the vehicle listings within this web site may not reflect all accurate vehicle items. Accessories and color may vary. All Inventory listed is subject to prior sale. The vehicle photo displayed may be an example only. Vehicle Photos may not match exact vehicle. Please confirm vehicle price with Dealership. See Dealership for details. Snowflake White Pearl 2019 Mazda Mazda3 w/Preferred Package AWD Automatic 2.5L 4-Cylinder 24/32 City/Highway MPG While every effort has been made to ensure display of accurate data, the vehicle listings within this web site may not reflect all accurate vehicle items. Accessories and color may vary. All Inventory listed is subject to prior sale. The vehicle photo displayed may be an example only. Vehicle Photos may not match exact vehicle. Please confirm vehicle price with Dealership. See Dealership for details. Machine Gray 2019 Mazda Mazda3 w/Preferred Package AWD Automatic 2.5L 4-Cylinder 24/32 City/Highway MPG While every effort has been made to ensure display of accurate data, the vehicle listings within this web site may not reflect all accurate vehicle items. Accessories and color may vary. All Inventory listed is subject to prior sale. The vehicle photo displayed may be an example only. Vehicle Photos may not match exact vehicle. Please confirm vehicle price with Dealership. See Dealership for details. Silver 2019 Mazda Mazda3 w/Premium Package FWD 6-Speed Automatic I4 Recent Arrival! 26/35 City/Highway MPG While every effort has been made to ensure display of accurate data, the vehicle listings within this web site may not reflect all accurate vehicle items. Accessories and color may vary. All Inventory listed is subject to prior sale. The vehicle photo displayed may be an example only. Vehicle Photos may not match exact vehicle. Please confirm vehicle price with Dealership. See Dealership for details.